All elementary and middle schools in the David Douglas School District are designated schoolwide Title I schools. This means that federal Title I funds are used to improve instructional programs for disadvantaged students. The schoolwide approach is based on a system of support for serving all students. Using assessment scores and classroom data, students are identified as needing extra support in reading and/or math. In addition to schoolwide Title I services for students, all elementary and middle schools will provide parents with opportunities to review and give input toward School Improvement Plans, policies, and school-parent-student compacts. Ensuring that plans are reviewed on an on-going basis and revised when necessary. We look forward to working with all parents, guardians, and family members to create the most effective school experience for all students in the David Douglas community. 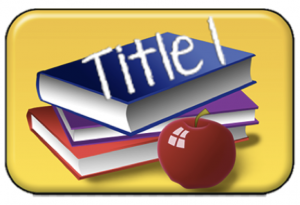 If you have any questions about the Title I program at your school, please contact your principal.